Fans of the Ender’s Game series have been waiting for the movie adaption for years! We patiently awaited the launch of this space shuttle and we finally are in orbit. With the movie out now and a TV spin off in talks, I guess we can patiently wait again for any news of the new trilogy Aaron Johnston announced or a green light for the TV spin off. As we wait patiently, check out some fan made drinks from EXP bar online. 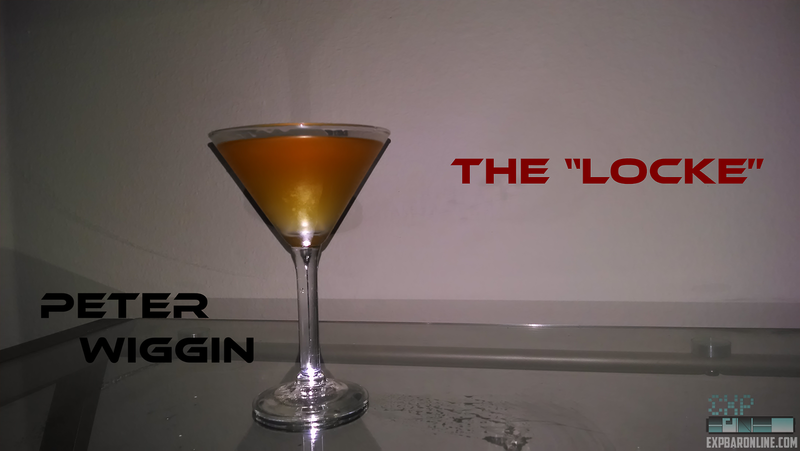 They created cocktails to memorialize Ender’s Game. So Like many of you i read Ender’s game in middle school. Obviously being that age I fell in love with that book. As time went on I read the book over and over and couldn’t wait to watch it on the big screen. 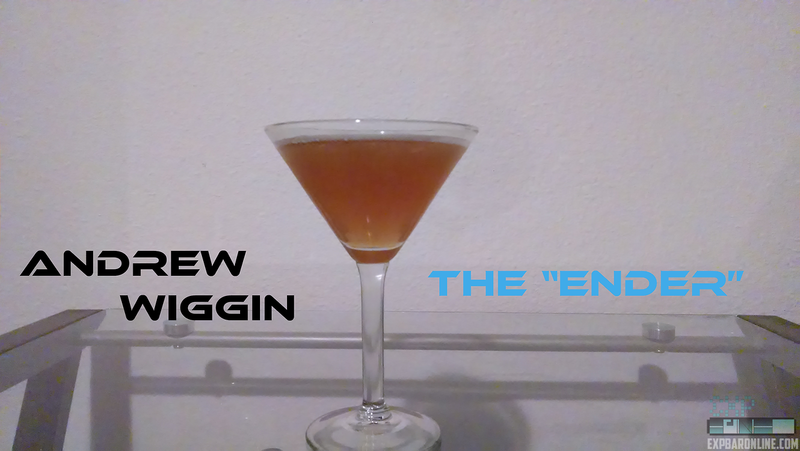 So this weekend the movie comes out and we all here at EXP bar decided to memorialize the Wiggins children in martini form. because above all they need to be classy and fierce. 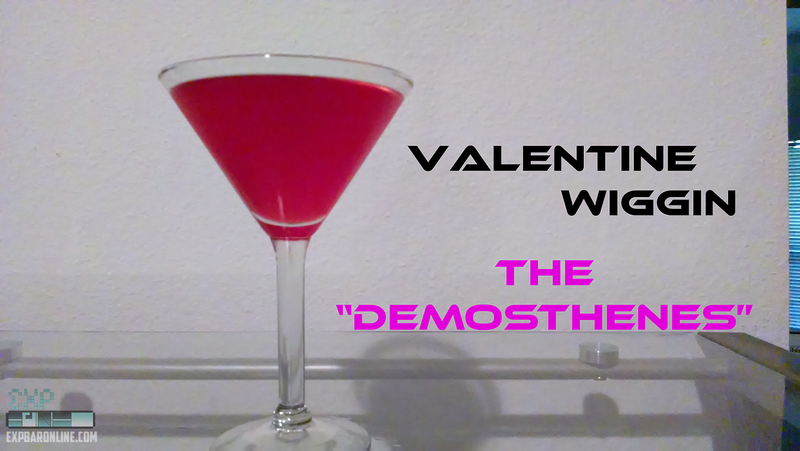 Demosthenes – We made the Valentine sweet, warming, and a nice little kick to show her strong side. A loving sweet blend for the second Wiggin child. You can visit EXP bar online and get the recipes for the drinks to try them out (Again, that is if you are of age!). Ender’s Game Battle School: The Board Game Out Now! 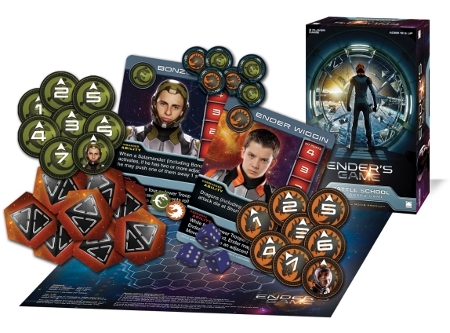 Today is the release of Cryptozoic’s Ender’s Game board game. The game is based on the movie and is designed for players of ages 15 and up. It’s played with two players that can go head-to-head where strategy is key to win. To win you have to capture the opponent’s gate or freeze their whole unit with your laser gun. You can purchase the game for $25 at your local hobby store or go to Cryptozoic’s e-store. Who’s planning on playing the game? It really seems like a fun game to get your hands on and who doesn’t want to play as Ender Wiggin? Let us know what you think about the new game board below in the comments. Behind all the set-up of film sets, the techniques of wire work and green screen there is more than just computers and photoshop. You can call it the behind-the-scenes of the behind-the-scenes. 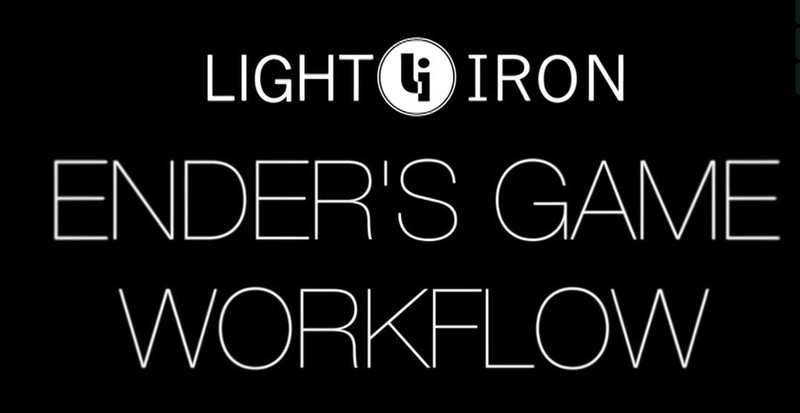 Light Iron released a video that showcases the different cameras and knick-knacks that film production on Ender’s Game used to capture the scenes of the movie. Personally, I have no such license or profession in film making so the video was in some whole different language for me. It uses a lot of film technology and terms that are foreign to the common ear but it produces some really interesting information and on set clips from Ender’s Game. You can go to Light Iron’s vimeo to watch the video. Thanks to EnderWiggin for the tip. Congrats launchy! Look out for our email. Thank you to Cryptozoic for sponsoring the Ender’s Game Battle School: The Board Game. Ender’s Game DVD and Blu-Ray Available for Pre-Order? While the weekend for the Ender’s Game movie is barely in motion, Amazon is already allowing customers to pre-order a copy of the Ender’s Game DVD. Though no release date for the DVD has been announced by Summit you can pre-order a copy of the DVD Digital copy at $20.97 or the Blu-Ray Digital copy at $27.99. Just go to Amazon and check the box next to your desired version and at it to your cart. What do you think about the pre-order? Do you feel it’s too soon to begin them? Or are you “whatever” with the pre-order? Let us know in the comments. Variety is reporting that Ender’s Game has collected $1.4 million in it’s Halloween night opening. A “solid start” as Summit Entertainment comments on the number. I’m very surprised to see such a big number. It isn’t bad but not as excitingly high like other Summit or Lionsgate movies that have premiered. It’s a good start and hopefully it gains the interest of non-fans. That way everyone can see how amazingly great Ender’s Game is. 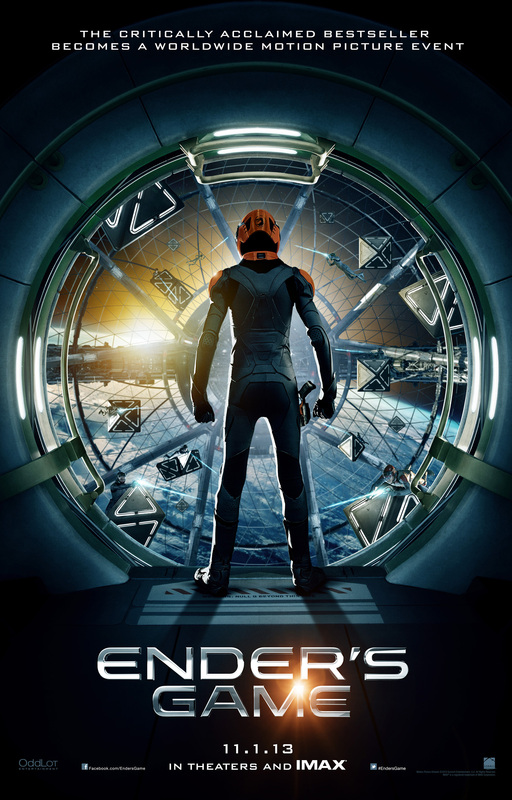 Ender’s Game is out now in theaters.